Bloomsbury USA Childrens, 9781599906430, 304pp. For star-crossed lovers Nimira and Erris, there can be no happily ever after until Erris is freed from the clockwork form in which his soul is trapped. And so they go in search of the sorcerer Ordoria Valdana, hoping he will know how to grant Erris real life again. 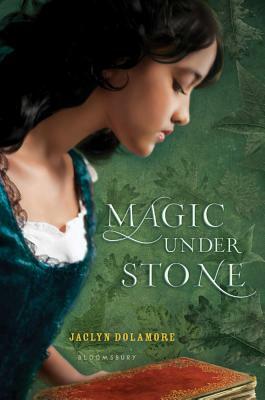 When they learn that Valdana has mysteriously vanished, it's not long before Nimira decides to take matters into her own hands-and begins to study the sorcerer's spell books in secret. Yet even as she begins to understand the power and limitations of sorcery, it becomes clear that freeing Erris will bring danger-if not out-and-out war-as factions within the faerie world are prepared to stop at nothing to prevent him from regaining the throne. JACLYN DOLAMORE is the author of Magic Under Glass and Between the Sea and Sky. She spent her childhood reading as many books as she could lug home from the library and playing elaborate pretend games with her sister. She has a passion for history, thrift stores, vintage dresses, David Bowie, drawing, and organic food.